Snow White’s dress was the height of fashion during the Disney heyday of my childhood. But now that I’m older, I think her ensemble needs a bit of an upgrade. A little bit of feminine lace, with a flattering v-neck that suits many styles, this simple cardigan adds some chic to even the most medieval of wardrobes. 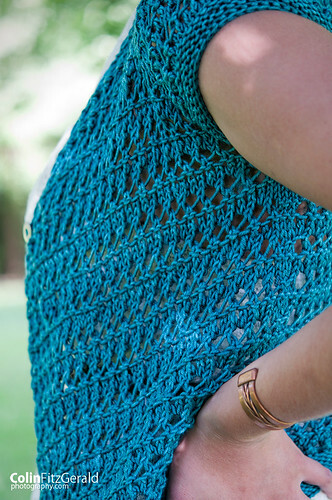 This charming, dead simple lace cardigan that features lace, garter stitch, and a sloped v-neck. Wear open or closed with one very special button. This cardigan can be worn with positive or negative ease. It is modeled with approximately 1” negative ease. It fits me comfortably with 0.5” positive ease. If you are between sizes, pick the smaller or larger size based on whether or not you would like positive or negative ease. Sizes: 33 (37, 41, 45, 49, 53)” / 83 (93, 103, 113, 123, 133)cm. Yardage: 400 (600, 600, 800, 800, 1000) yards worsted weight yarn. Fairy Tales Saga is a collection of four patterns inspired by fairy tale stories of heroines and damsels. Every one of the four patterns in this collection speaks to the classic fairy tales of Grimm, Andersen, and (somewhat shamefully) Disney fame. Each pattern is unique–the cardigan, cowl, hat, and shawl are all special, just like the stories they were inspired by. 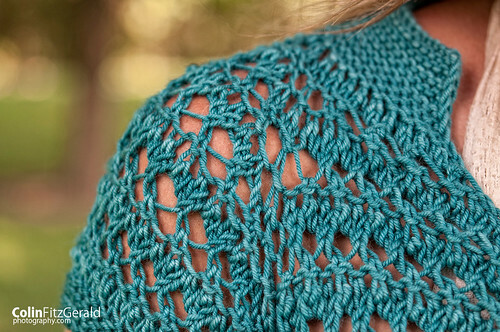 Fairy Tales Saga includes Ivory Tower Cowl, Lost Woods Cap, Ode to the Bay, and Snow White’s Lace. The pattern says 5 sts and 10 rows per 1 inch in garter stitch. That should be 5 sts and 7.5 rows in 1 inch in garter stitch after light blocking. 33 (37, 41, 45, 49, 53)” / 83 (93, 103, 113, 123, 133)cm. Featured in Fairy Tales Saga!